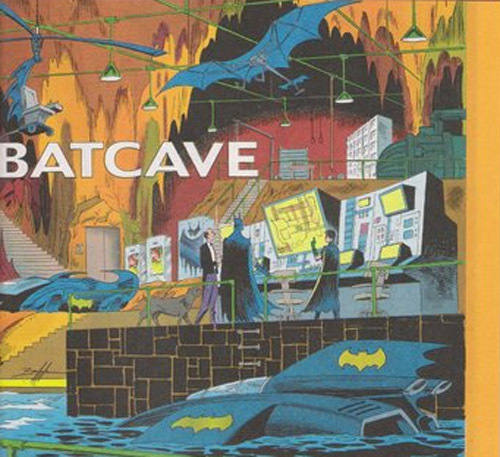 With the remodel of The Batcave Toy Room Blog just about complete, I have tons of ideas for the remodel of the actual Batcave Toy Room. The main concept I have is to give it a comic book shop and toy store feeling. 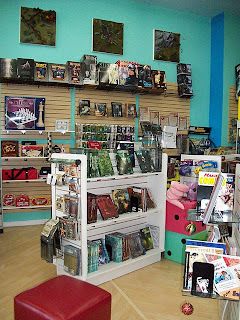 All of the comic book and vintage toy stores I frequent in my home town have basically a slat wall design. With wall to wall slat walls with hooks and shelves for action figures and such. This also gives a bit of a retail feel as well, similar to seeing rows and rows of action figures on peg board with hooks at Toys R Us. So I came across this laminate slatwall at Display Warehouse and found the slat board to be fairly inexpensive. A 4 X 8 panel is only 57.50 and I can basically cover a whole wall with probably 2 panels. They offer all kinds of hooks, brackets, and shelves in different styles to create a pretty sweet display. The majority of our furniture at home is cherry in color or dark wood. So I would probably go with the cherry color laminate. Standard display cabinets or even slat board gondolas are also an option or a combination of both. I really haven't had a true instance of inspiration yet and I am still tossing around ideas. I will continue to keep you posted as the remodel continues. Have any ideas on how to display my collectibles? Send me some pictures of how your vintage toys and collectibles are displayed. I need to have an epiphany.